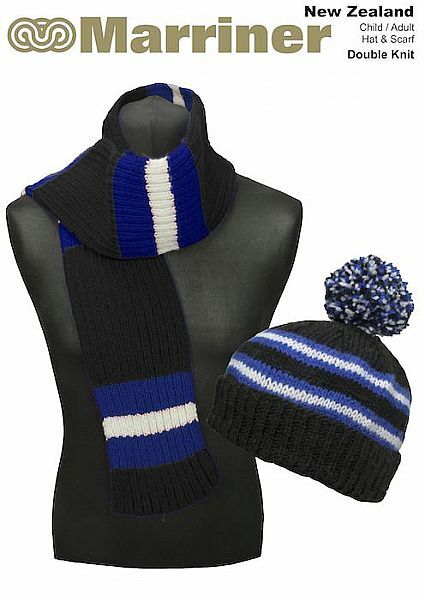 A cosy hat & scarf striped with New Zealand's national colours, featuring a pom pom on the hat. Can be made in children or adult sizes. Hooks required A pair of 3.25mm and 4mm knitting needles.